Your best hiking shoes or hiking boots should essentially keep your soul and soles in a perfect happy relationship! Period. Whatever budget you have – this is all that counts. If you are planning to go for an African safari, you have a double reason to make sure you have the right and also the best hiking shoes or boots. Lets sort issues first. What is the difference between hiking boots and hiking shoes. While these two share (or they may share) a lot of similarities in construction e.g. in treads – the main and noticeable difference is that hiking boots are hardier, strong and they are cut above the ankle, to offer protection in tougher terrain. Hiking shoes on the other hand are lighter and have a lower ankle cut. Basically they are for walking on lighter terrain but they should provide the same sturdiness, breathable material, flexibility, water resistance and comfort like a hiking boot. - If you are on package safaris (those lodge-to-lodge safaris with the morning and afternoon game drives) most of your time will be spent in the vehicle. Allow for stops at crowded view points and you can see why you don’t need any special boots for this. - On the other hand if you are going for a walking safari (and do confirm it is a walking safari – not just a peep in a Masai Village), then you do need good, sturdy hiking boots. While there is no need to bring a pair of hiking boots and hiking shoes, if your safari operator is not clear on the type of terrain you will walk on – then error on the side of safety, bring your best walking boots with you. With 13 years of operating nature safaris in Kenya, our specialty being walking holidays, bird watching and responsible wildlife viewing, we have had the pleasure of seeing clients enjoy many hours on their feet because they made the right "sole" decision. We have also seen some whose souls were foul because of poor selection of soles! 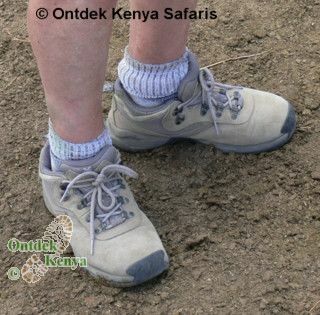 1) Break-in your walking boots/shoes before your African safari! New shoes, however fitting they feel are best broken-in with short but frequent wears rather than on one continuous wear. So buy your hiking boots months before your African safari and use them frequently. 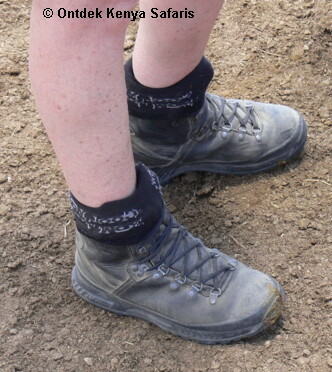 2) Make your best hiking shoes or boots your in-flight shoes. This ensures that in case of lost luggage you will have your boots on and can hit the safari trail as you wait for your other luggage to hopefully catch up with you. 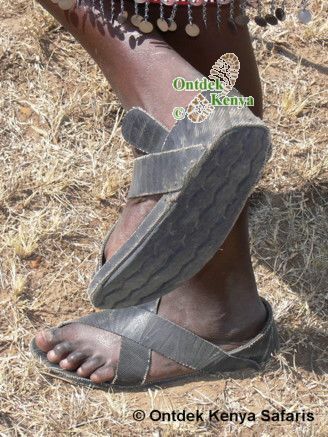 3) Are hiking sandals good substitute for hiking boots? Forget the marketing hype, sandals leave your feet exposed to acacia thorns – which are found in most safari camps, walking or birding sites. You only need one thorn through your feet to have your safari ruined. Click here to read more about the best hiking shoes, African safari shirts, hats and trousers.